As usual, this November is pronounced as “Hanoi Promotion Month 2010” by Hanoi People’s Committee and Department of Trade and Industry. 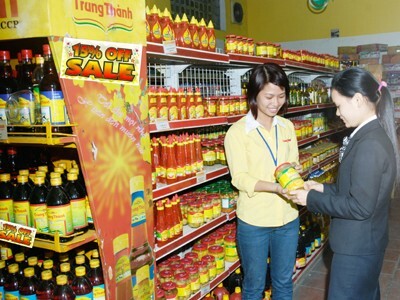 As a representative enterprise of the city, TrungThanh enthusiastically participate in response to "Hanoi Promotion Month 2010" with specific and attractive promotions in many major supermarkets in the city This is the third time “Hanoi Promotion Month” has been held in order to stimulate consumption, stabilize markets, and promote trade in services in all over the city. The new thing in this year is the expansion of promotion places to over 1,100 in the city, which creates opportunities for suburban people to access the program. Besides, the breakthrough in November is 2 “yellow days” in 13th and 14th and attracts nearly 500 enterprises of different fields: Food; Fashion – Textiles & Garments; Footwear; Electronics... With the numerous and various categories, accompanied with many discounted promotional gifts, the program has been a hot event and attracted a large amount of capital consumers. To create focal points for the program, "Golden Shopping Day with TrungThanh" on 27th and 28th, Nov from 8.00am to 7.00pm at Fivimart. Within 02 days, beside 15% discount, customers have a chance to own a ceramic bowl, which is worth 10.000vnd, for an invoice over 50.000vnd. 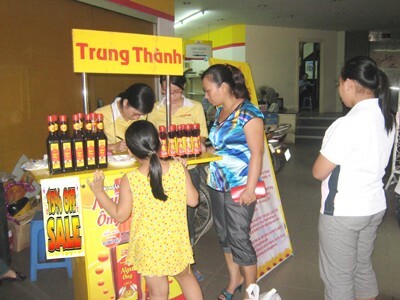 This is the present TrungThanh dedicated to consumers in the promotion month this year and also to confirm the policy of TrungThanh which considers consumers’ the rights and benefits as the direction of sustainable development.